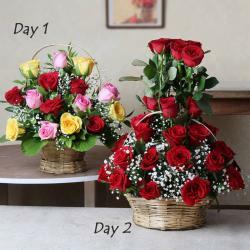 Product Consist: Day1: Bunch of 10 Yellow Roses, 2 Bars of Fruit N nut Chocolates (Weight: 35 Gm Each):: Day2 : Bunch of 15 Red Roses, 1/2 Kg Round Shape Chocolate cake. You have always wanted to make the days of your special occasion really special and memorable. 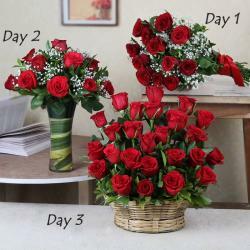 Mention youre starting desired delivery date during checkout & get your gifts delivered to your loved ones at their doorstep. 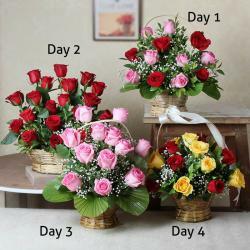 It is now your chance to perform the same with this 2 days serenades collection for your sweetheart. Personalize your days with a handwritten message which talks about things you always felt but found it hard to express. Get this charming gift ordered on special occasions like Birthday, Anniversary, Diwali, Onam, Parents Day, Boss Day to send love and best wishes to loved ones. It is surely going to make them smile. Send your love and care wrapped in this gift through Giftacrossindia.com. 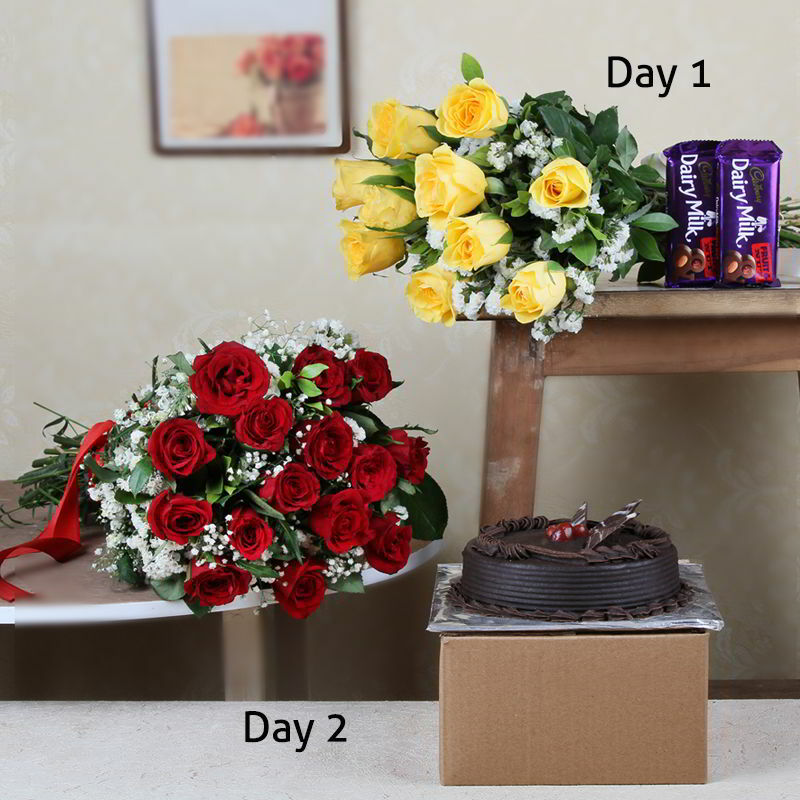 Product Includes: Day1: Bunch of 10 Yellow Roses, 2 Bars of Fruit N nut Chocolates (Weight: 35 Gm Each):: Day2 : Bunch of 15 Red Roses, 1/2 Kg Round Shape Chocolate cake.